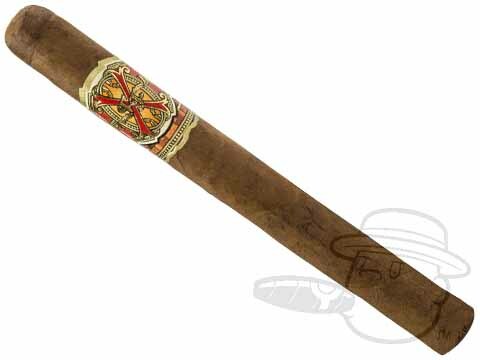 At 7 inches by 48 ring the Arturo Fuente Opus X Reserve De Chateau is a solid Churchill sized vitola. At the current price point these are not your every day stogies but rather a treat for special occasions. After a world class Armenian Thanksgiving feast we retired to our back balcony refuge overlooking the pool with Sir Winston's favorite Ararat Armenian Brandy. The first light was laser clean with a silky smooth draw. The Rosado wrapper adds flavors of spice and peppers with a presence of leather on the palate with a slight, pleasant, aftertaste at the finish. Advertised as "Full Bodied" where at the same time I didn't find it to be too strong or overpowering. The bottom line is the Opus X Reserve De Chateau is simply one Primo Puro . . .
Opus X Reserva De Chateau is rated 4.2 out of 5 based on 3 customer ratings.